This publication of the Society provides a comprehensive collection of the printed maps of Saddleworth from 1625 to 1892. 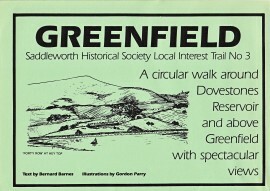 They are full-colour reproductions giving a detailed and fascinating source of historical information about Saddleworth’s villages, hamlets, mills and moors. 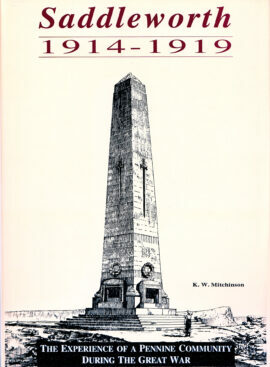 Volume I (225 pages) contains six maps. These printed maps are the Saddleworth portions of early maps of Yorkshire 1771, 1818, 1828 and the first large scale detailed 6 inch 1854 and 25 inch 1892 Ordnance Survey maps. 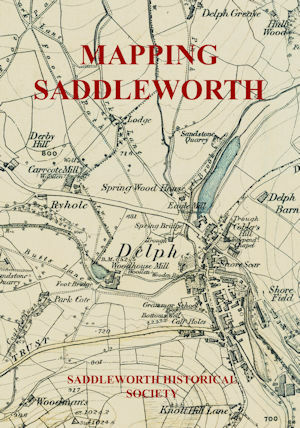 They all give a detailed view of Saddleworth as it developed over those years. Also included is the 1840 map for the enclosing of the moors. 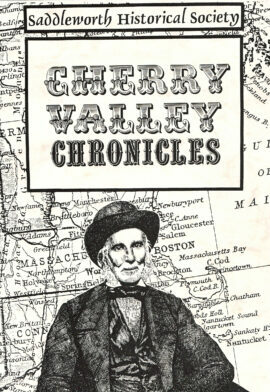 Each of the maps is accompanied by an authoritative introduction. Cloth bound, Hardback, gold lettered spine, full colour dust jacket, 225 pages.